Saw the movie the other day. It is a decent movie with the right amount of drama, action and CG. Scarlett Johansson carried the whole movie beautifully. She makes this movie watchable and engaging. Morgan Freeman remains Morgan Freeman, a decent part without much up or down in emotion. I think he just did it for the paycheck. The Korean villain is cool and has more acting to do than Morgan Freeman, but still a stereotype of Asia bad guy: crazy, over the top, killing everybody just because he can. Yes, agreed with many critics that the ending of the movie is a bit too much. How can someone use 100% of the brain will end up omnipotent like God? That doesn’t make sense! But, it is just a movie, doesn’t matter for this mindless detail. 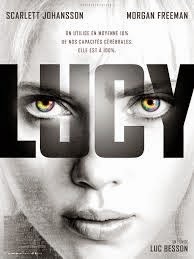 For a brief 90 minutes of fun, I think Luc Besson did a good job to entertain the audience. More a commercial version of Tree of Life with some Matrix feel, well I’m entertained.